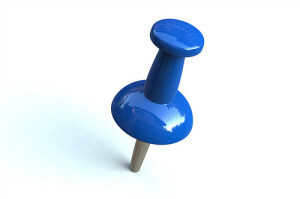 Does My Business Need to be Pinning? Pinterest has exploded onto the social media scene, and boasts 48.7 million global users as of early 2013. Many companies have taken note of those numbers, and are starting to look at Pinterest as another marketing stream. But is it right for your small business? Pinterest is not a conversational site; rather, it allows people to tell their stories via photos of things that interest them. Because of this, your business will need to have a visual story in order to make Pinterest work for you. If your product or service lends itself well to pictures, then this can be a great medium for your company to expand its reach. Your pins can be posted by yourself, your employees, and your customers — it’s a great way to get everyone involved and build your brand image. Something to consider when deciding whether to start a business Pinterest account is the time you have available to devote to another social network. You can’t just pin a photo of your latest product every few days and expect to gain a following; you’ll need to spend a little time on the site every day to find people to follow and images to repin, and you’ll have to engage with commenters on your pins. Just like Twitter, Pinterest works best when you actively interact with other users. Finding other users relevant to your niche, following them, and retweeting their useful links are important parts of a successful Twitter campaign, and it’s the same for Pinterest. Find boards relevant to your business, and repin things your followers would find useful. And don’t forget to respond to comments on your pins — this is an important part of keeping your followers engaged. While there are no hard and fast rules for running your business Pinterest account, there are a few things that can help you be successful from the start. First, as mentioned earlier, think about whether your business lends itself to a visual medium. The vast majority of pinners use the site to find and keep track of recipes, fashion, home decor, and crafting ideas. If your business is in – or related to — one of those areas, you’ll have an easier time. The second tip is to keep your profile clean and easy to navigate. Organize your pins into boards (which are groups of images in a specific category). Include a link back to your company website or specific product page on each pin, so viewers can click through if they choose. Third, pin and repin things other than your own product offerings. Find interesting tips, news, and other items that your followers might find interesting or helpful. You can even pin products from other companies that are related to yours (but don’t worry – you don’t have to pin directly competing products). Pinners are wary of boards that are only collections of a company’s own products; you’ll win more fans by being helpful. Make your profile easy to navigate, and engage with your followers to make your business successful on Pinterest. About the Author: Freelance writer Angie Mansfield covers social media and other business topics such as how to liquidate office furniture. Great information. Yes indexing our article as soon as possible is important to drive the Search Engine traffic. And these methods which you have stated will be really useful in doing it.